Enjoy an in-depth experience of the World Heritage–listed Gondwana Rainforests of Australia on a full-day tour from Brisbane to Springbrook National Park. Your expert guide shows you examples of subtropical and temperate rainforest, stopping at stunning lookout points and cascading waterfalls. Sit down for a picnic lunch at Purlingbrook Falls, take a refreshing dip in natural freshwater pools and see the foliage up close on nature walks. This small-group tour is limited to 15 participants to ensure a more personalized experience. 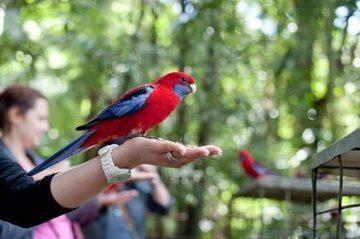 Your guide picks you up in Brisbane then drives south through the Numinbah Valley for approximately one hour to arrive at Springbrook National Park. During your visit to the park, you can take a dip in one of many natural freshwater pools. You might spot Australian water dragons (a lizard), pademelons (similar to wallabies), Australian brush-turkeys, goannas, or even rare sightings of platypus, spotted quoll and wombats. Your first stop takes you to Natural Bridge — an archway formed by rock — and Cave Creek waterfall. Then walk the 2.5-mile (4-km) Twin Falls Circuit, going a little further than many visitors to reach spectacular viewpoints and stretches of sub–tropical temperate rainforest. Refuel with a picnic lunch near Purlingbrook Falls, the region’s largest waterfall. Then stroll through an Antarctic beech forest with 2000-year-old trees, a remnant of the ancient forests of Gondwana, which grew some 510 to 180 million years ago. 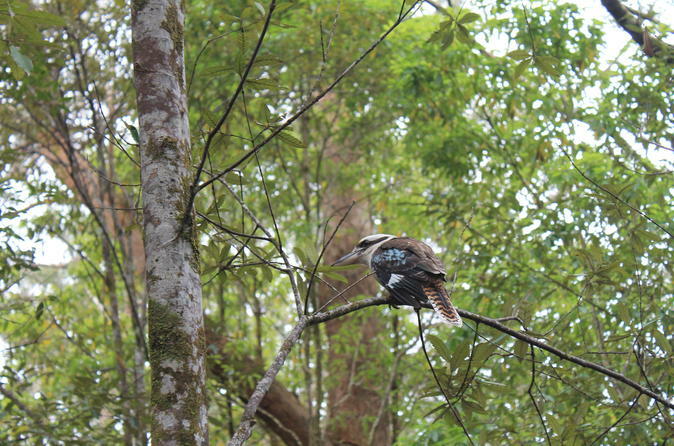 Your guide shares informative commentary about the forest and wildlife found in Springbrook National Park. More than 500 vertebrate animals and 1,700 species of flowering plants thrive in the area. The nature walks are suitable for people with a moderate level of fitness. Expect some challenging sections that include uneven ground, stairs, or creek crossings over wet rocks. Raincoats are recommended in all seasons. Inclusions are subject to change without notice depending on the conditions. Excellent small group tour. Bushwalk was very enjoyable. Jovial and entertaining guide. This was a beautiful trip with a very sweet guide. We had rain and mist the whole time but that made it magical. We really enjoyed our day bush walking - seeing many waterfalls, the natural bridge and many other things. Livio was an excellent guide. Lunch was not so great - had we known what was going to be provided we would have brought our own food. Plus the pick up was a unclear. This was really excellent tour. Enjoyed every minute. Fabulous walk. Guide was really informative and the day was fun. Picnic was great. Nothing fancy about it, but the tour was amazing! Guide Clayton grew up in the area and was very knowledgeable. They had just had rain the day before, so there were lots of waterfalls. Beautiful trip to the National Park. It did take an hour and half to get to the National Park on the bus. The ride was definitely worth it....the views are wonderful, the hike to the waterfalls is worth the effort. We saw lots of wildlife.....even a 6 foot long python! Out tour guide was quite knowledgeable and enjoyable. The tour description mentioned Glow Worms but they were not part of the tour. The small bus used was old and worn out. The tour guide had lots of knowledge about the park. Lunch was very basic. Overall I would rate this tour as fair. The scenery was wonderful but the trip was too expensive for what was on offer, i.e. unprofessional guide who brought his very young kids on the tour, battered van with no seatbelts, and poor lunch offerings. If it was half the price of what we've paid, it would have been OK. And by the way, they are NO glow worms in the glow worm cave so maybe you want to stop advertising it as such.